Thanks to the irresistible generosity of Mother Nature, Cappadocia (The Land of the Beautiful Horses) is a unique holiday place. The soil is formed of a very soft volcanic terrain, ash and lava eroded from volcanoes. Rivers, streams, snow and ice shaped this ground. Erosion is the source of this supernatural landscape. 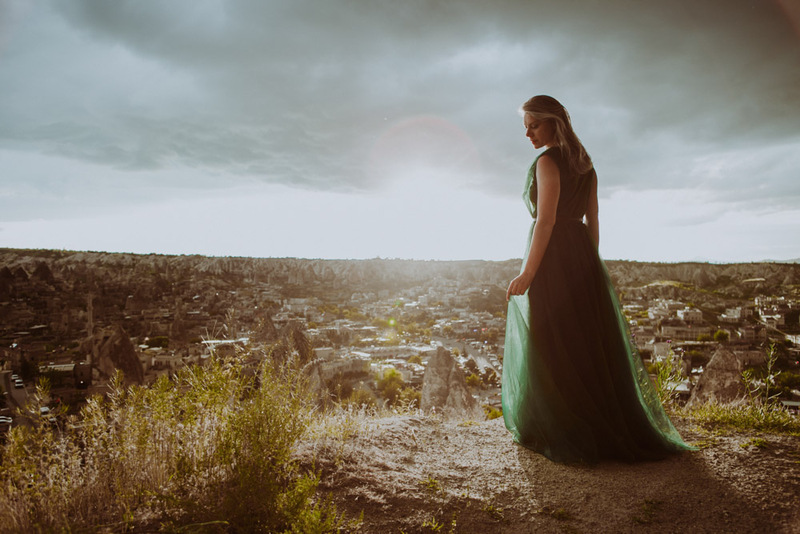 However, Cappadocia’s bog reputation as being a magnificent place to visit is also thanks to the generous hospitality of its inhabitants. Cappadocia was strategically located at the crossroads of major communication and trading routes like the “silk road”, was also the cradle of different civilizations over the century. So, for sure you will be amazed by these discoveries. Spring and Autumn are the best seasons to visit Cappadocia. The weather is moderate with cooler temperatures and thinner crowds. Summer can get pretty hot and it’s the busiest time of the year with tourists flocking in. Prices are at their peak during this time. If you don’t mind cold weather though, then winter may be an interesting time to go. I saw pictures and Cappadocia looks stunning blanketed in snow. 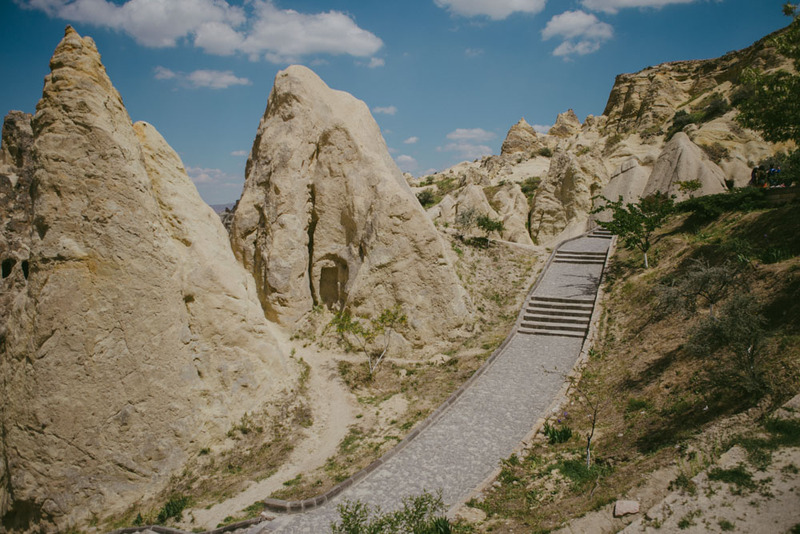 There are many ways to get to Cappadocia depending on where you’re coming from. Flying, as you’d expect, is the fastest way to get anywhere in Turkey and it may be the cheapest as well. For example, we flew from Bucharest to Istanbul and then from Istanbul to Cappadocia and we paid just 53 Eur. Cappadocia has two airports — Nevsehir Kapadokya and Kayseri Erkilet. There are direct flights daily from Istanbul (Ataturk or Sabiha Gocken) to either airport. Turkish Airlines and Pegasus Airlines both offer flights. Nevsehir is closer to the main towns of Göreme and Urgup but Kayseri is the larger airport. If you’ve already booked a hotel, then you may want to ask them if they offer airport transfers. If not, then there are many agencies that you can make a reservation with. We arranged for a transfer from our hotel in Göreme from Kayseri airport for 10 Euros each. A minimum of three full days, no less. If you do both the Red and Green Tours, then you’ll see pretty much all the major sights in Cappadocia. Each tour takes a full day which is why we are suggesting a stay of no less than three days. 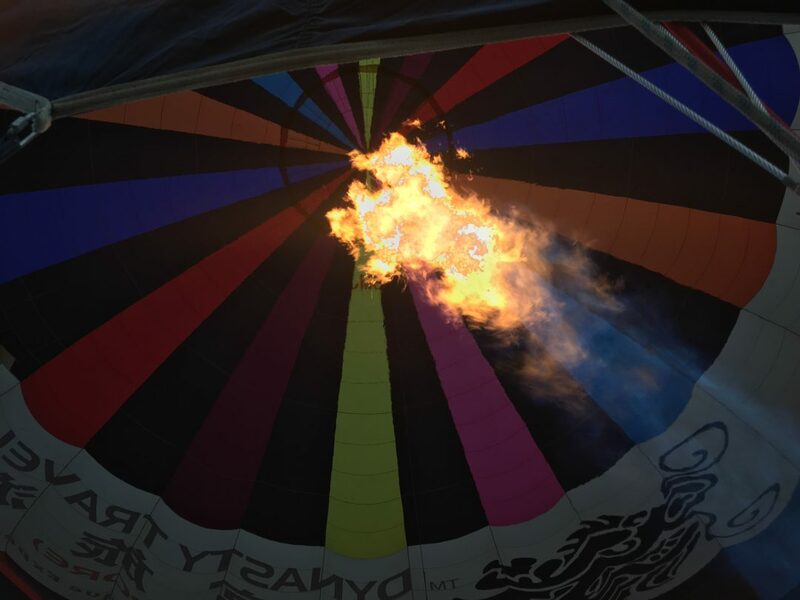 If you plan on taking a hot air balloon ride, then you can do it on either of those days. It starts bright and early at around 5:30 AM, and they’ll have you back at your hotel in time for your tours. You can throw in an extra day just to take it easy, relax and do some exploring on your own. Also do some hiking or horse riding. 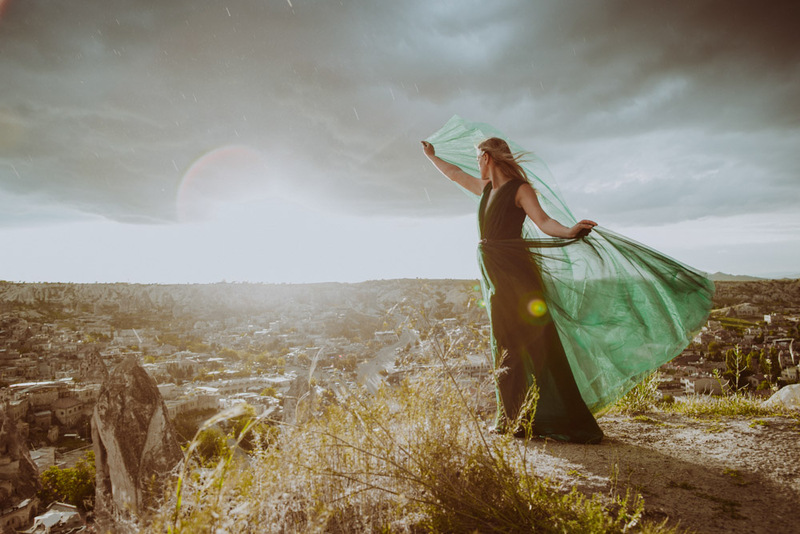 Cappadocia is captivating and it has one of the most interesting landscapes I’ve ever seen. It’s fun to just walk around and soak in the atmosphere. It’s a magical place so you’re bound to enjoy every minute of your stay there. We did. The unit of currency in Turkey is the Turkish Lira (TL), though Euros and US Dollars are widely accepted as well. But just because you can pay for things with Euros or USD doesn’t mean that you should. Some things are better off paid in TL because they can turn out to be more expensive when converted to Euros or USD. Basically, anything that was quoted in Euros or USD — like hotels and tours — we paid for with Euros, and everything else — like meals, souvenirs, transportation, entrance fees, etc. — we paid for with TL. 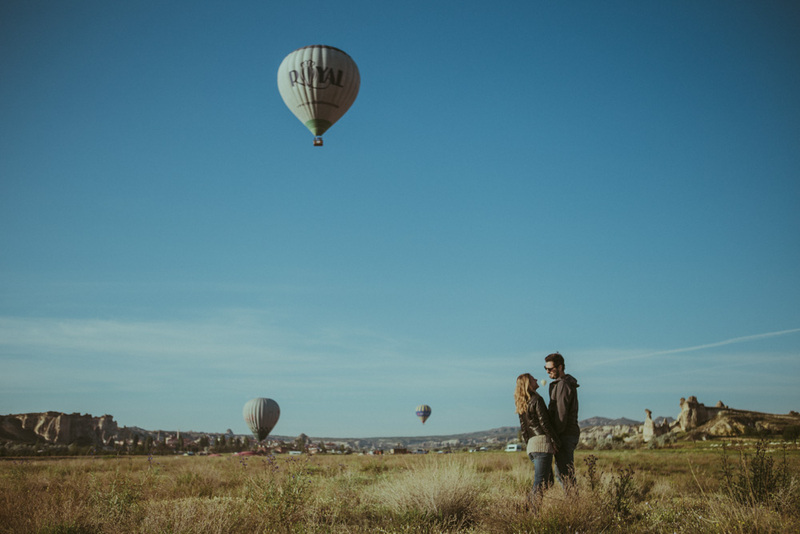 The most expensive attraction here will be the hot air balloon ride so if you don’t plan on doing it, then you’ll be spending much less. If you’ve never ridden one though, then I strongly urge you to just go for it. 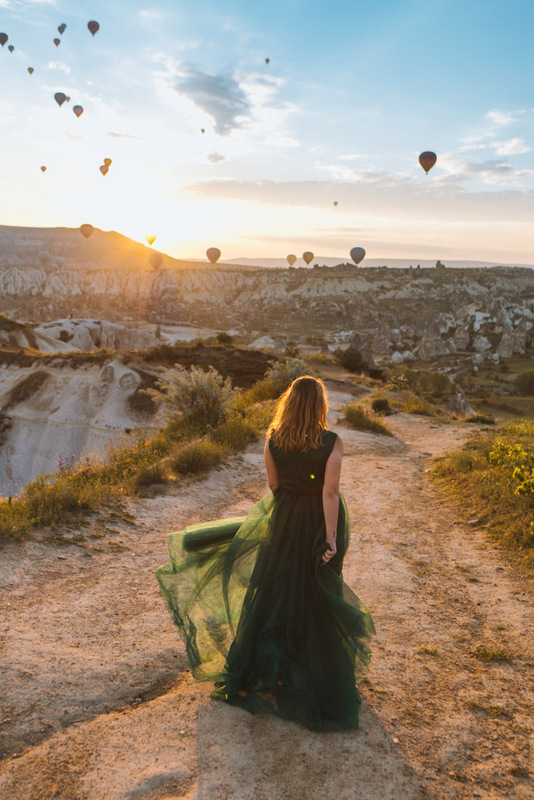 There’s no better place in the world to do it than here in Cappadocia. It’s something to scratch off your bucket list and you may wind up regretting it if you don’t. The Cappadocia region is comprised of multiple cities and towns, though the majority of travelers stay in Göreme, Ürgüp or Uçhisar. Göreme is considered the hub for tourism in Cappadocia with its numerous restaurants, travel agencies, and hotels of varying price ranges. It’s also in walking distance to Goreme Open Air Museum which is the most visited tourist attraction in Cappadocia. 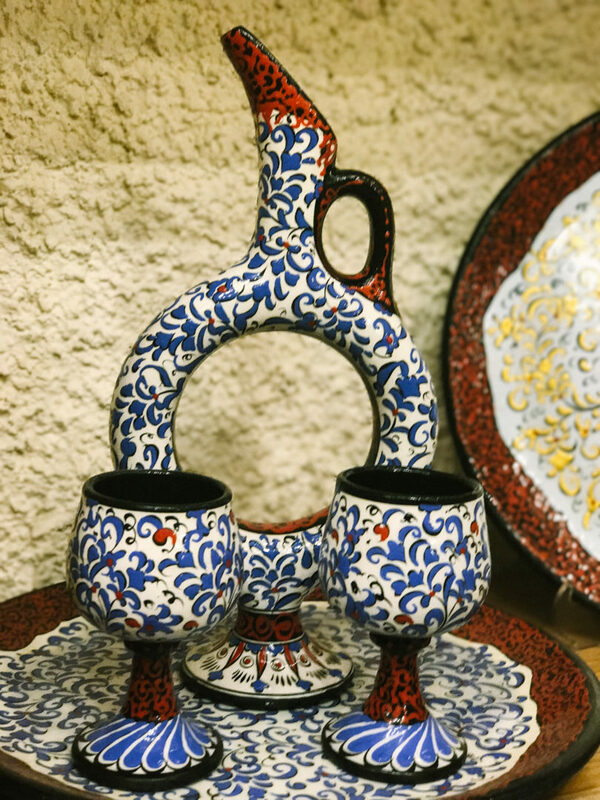 Ürgüp is similar to Göreme in terms of accommodations and services, plus it’s considered the region’s heart of wine production. Uçhisar provides the best views of Cappadocia and is known for its luxury hotels, inns, and rental villas. 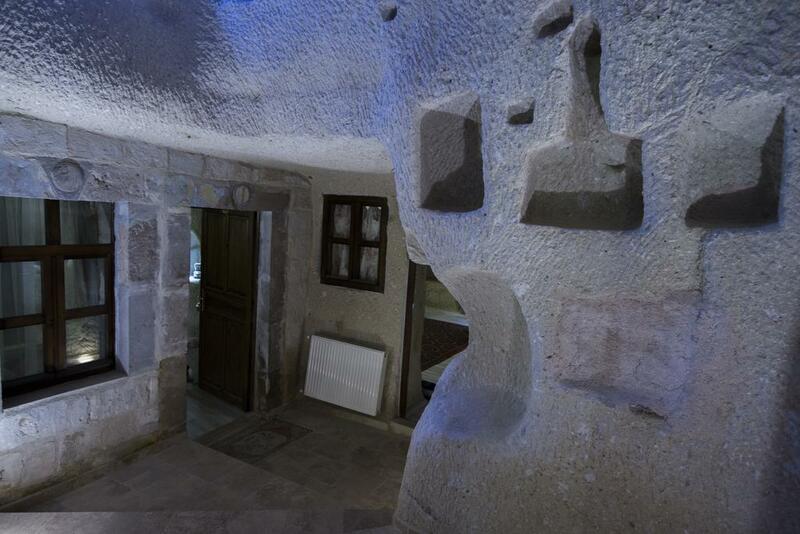 And of course, you have to stay in a cave hotel. 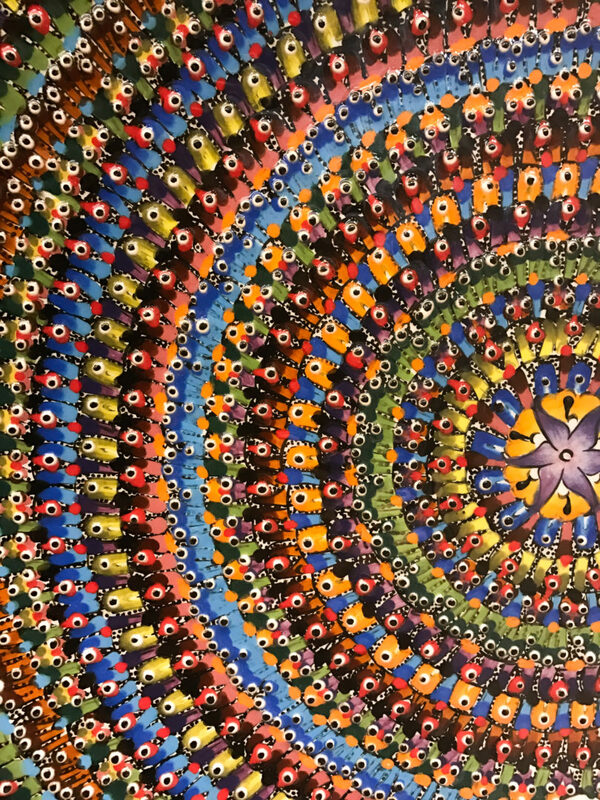 It is a lifetime experience that you shouldn’t miss. 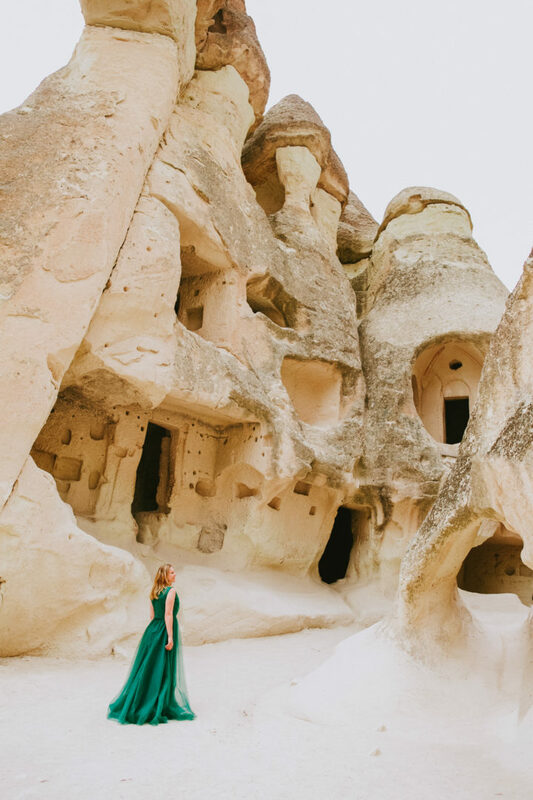 Cappadocia is honeycombed with caves. 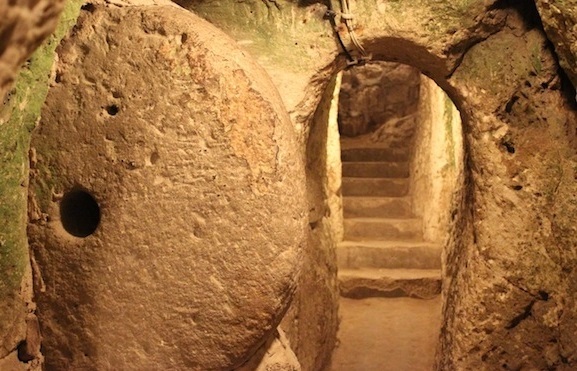 Many were built by hand in the soft volcanic rock hundreds if not thousands of years ago. 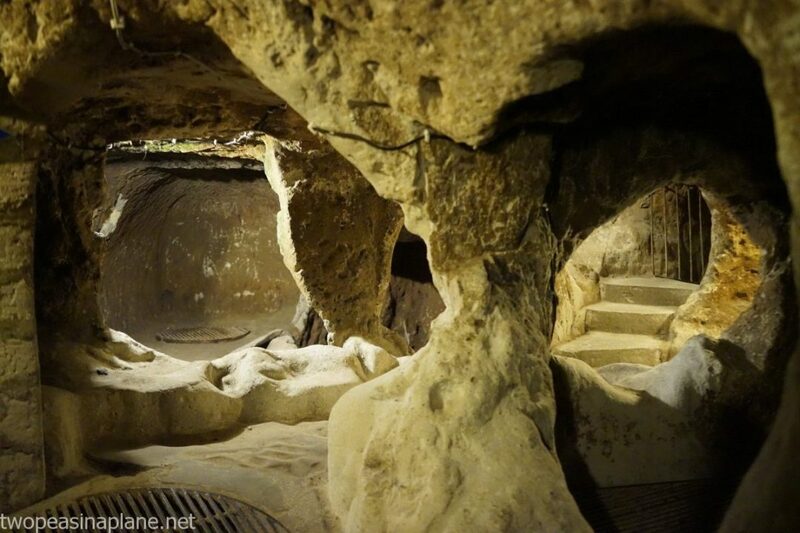 The caves have been used as homes, monasteries, churches and now hotels. 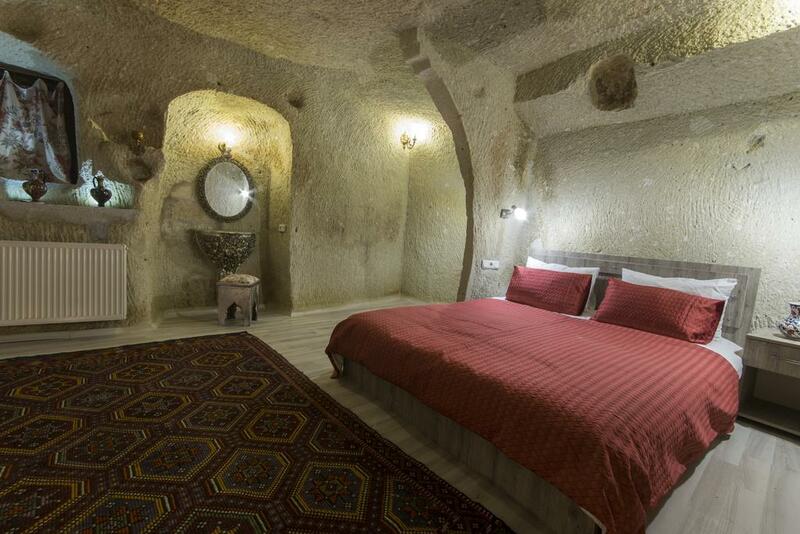 In Göreme alone there are over 30 cave hotels offering everything from one star to five-star accommodation. We chose to stay at the Bedrock Cave Hotel and it turned out to be a great choice. 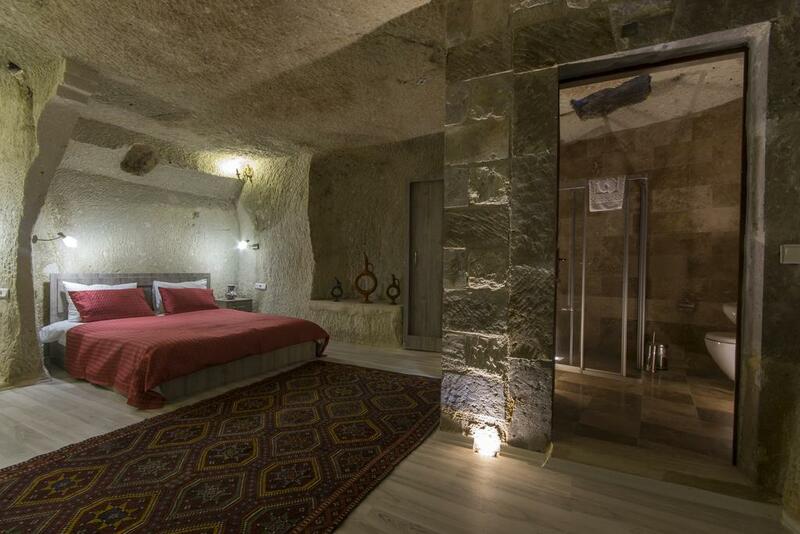 We had a cave room with an exotic feel to it with beautiful pillows covered with colorful Turkish fabric. 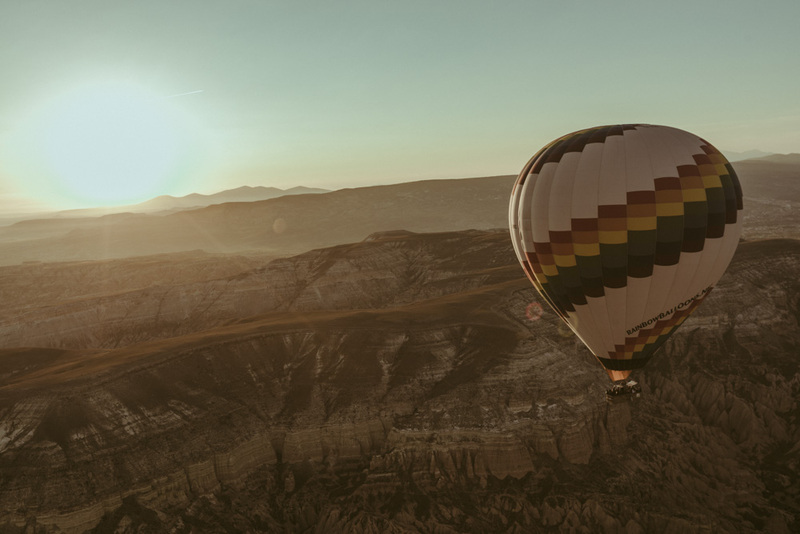 Without a doubt, riding a hot air balloon over this selenic landscape is the most epic thing you can do in Cappadocia. It’s a once-in-a-lifetime experience. Sure, it isn’t cheap, but sometimes you just need to forget about the money and this is one of those times. I wished that all my friends and family were with me to share in this magical moment. 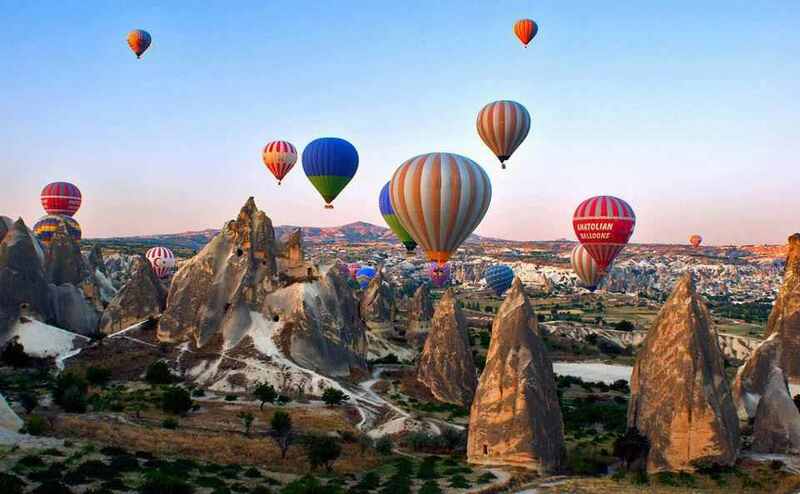 In my opinion, the Red Tour is one of the best things you can do in Cappadocia beside of the hot air balloon ride. It’s a great introduction to the area and takes you to the most striking spots in northern Cappadocia. 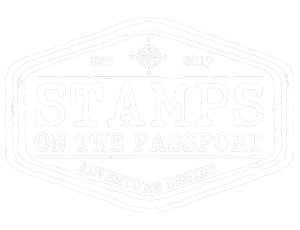 If you were to do just one tour (other than the hot air balloon), then I suggest doing this one. The most popular tours are the Red and Green Tours and they’re offered by nearly every travel agency in Cappadocia. We took all the tours and rental from Gorgeous Tour and we were very pleased with them. They picked us up from our hotel at 9:30 AM, and our first stop of the day was Goreme Panorama over the Uchisar Castle. 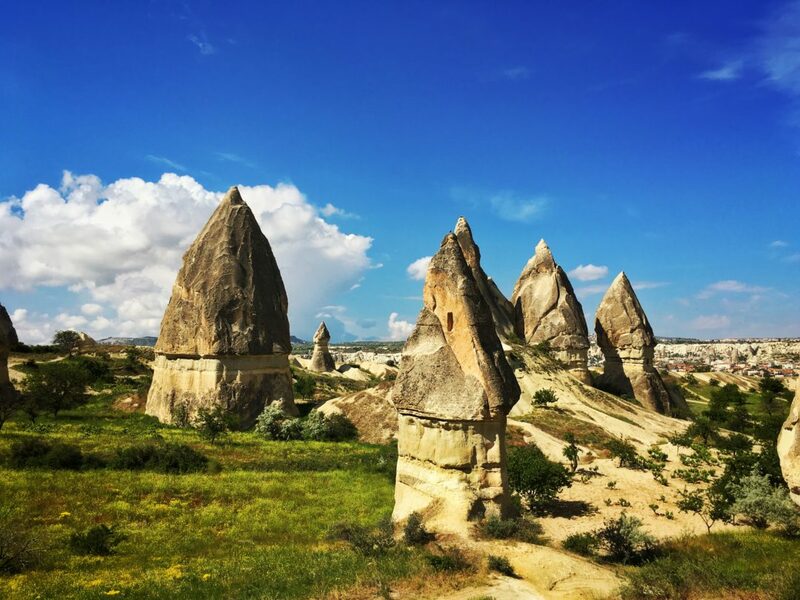 It’s a great place to get acquainted with Cappadocia’s famed fairy chimneys. And then, we stopped at the Goreme Open Air Museum which is the most visited site in Cappadocia. By the end of the tours, we saw the Devrent Valley, so-called imaginary valley, that invites you to imagine what it might look like these volcanic tuffs. We had lunch in Ihlara Valley just before entering the canyon. Lunch is already included in the tour fee though you’ll need to pay extra for drinks. Ihlara Valley is one of the most popular places in Turkey for hiking. A river runs through it. The Melendiz River cuts through the valley making for a pleasant hike. Nice to hear the sound of the water while you walked. 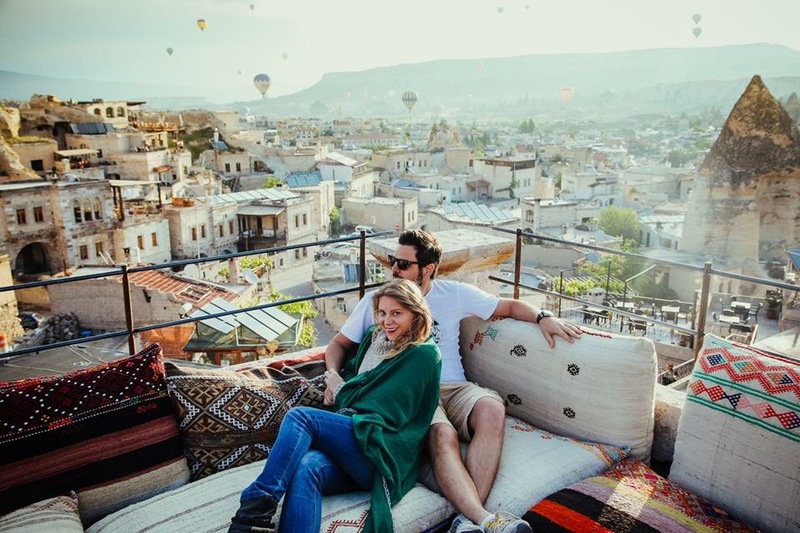 In my opinion, this is the best thing to do in Cappadocia. 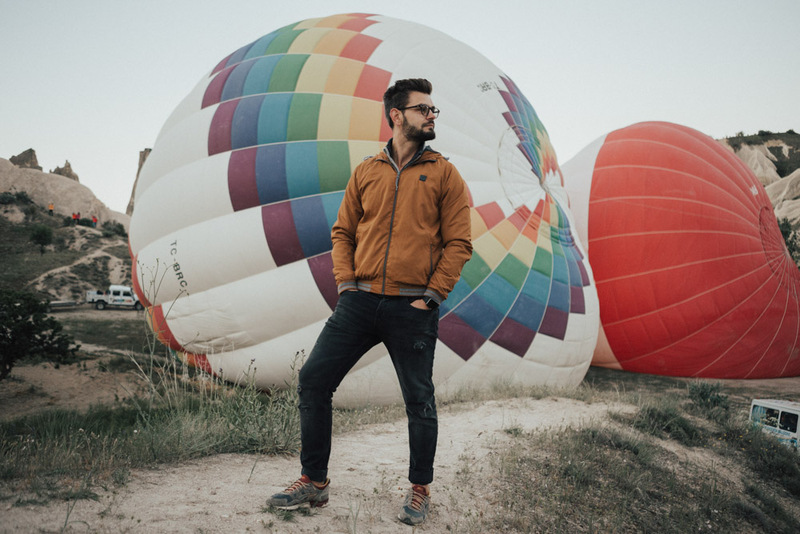 Wake up every morning around 4:30 – 5:00 am and head to a rooftop or sunrise view point and wait for the balloons to appear along with the sun. Although, it was so difficult to do it every morning somehow were addicted to it. 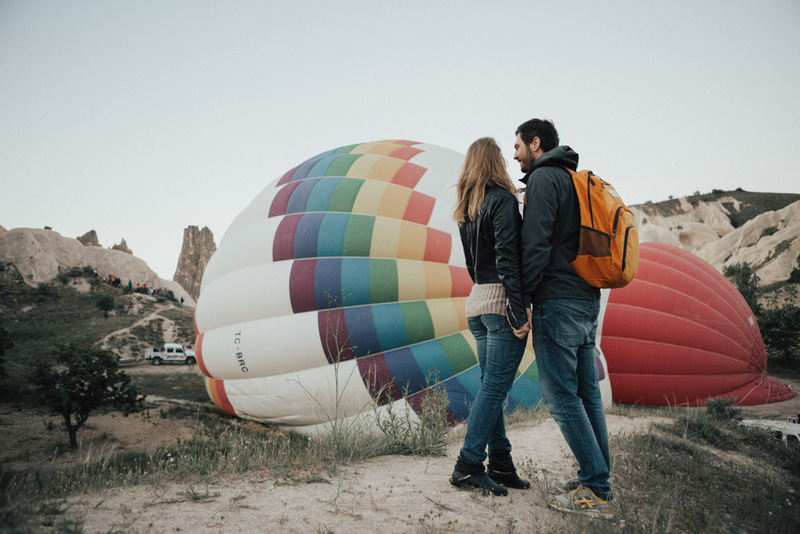 Imagine up to hundred balloons fill the sky every morning and, along with the fairy chimney, cave hotels, and spectacular landscape, this may well be the most beautiful sight your eyes will ever see. First, we tried the rooftop of Sultan Cave hotel and for the second day the Sunrise viewpoint above Goreme. We will let you decide with was the best, because we can’t decide. For us, it was like magic. 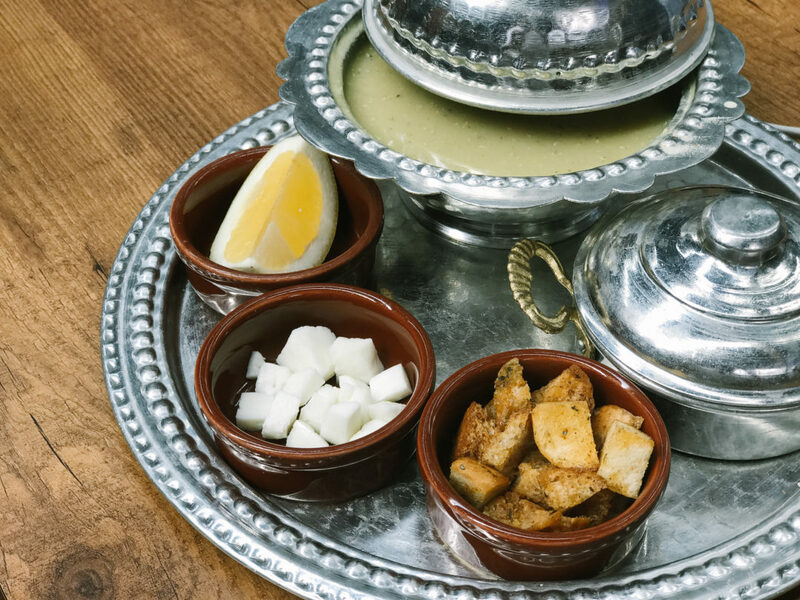 Turkish food is one of my favorite cuisines in the world. I just can’t get enough of those tables full of olives, cheese, dips, pide, kofte, enemen, börek, kebap. 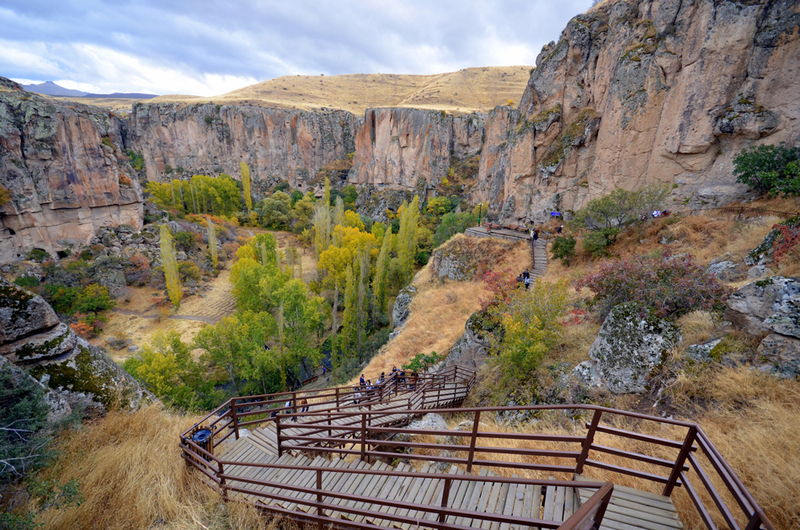 A great way to see Cappadocia is on foot. 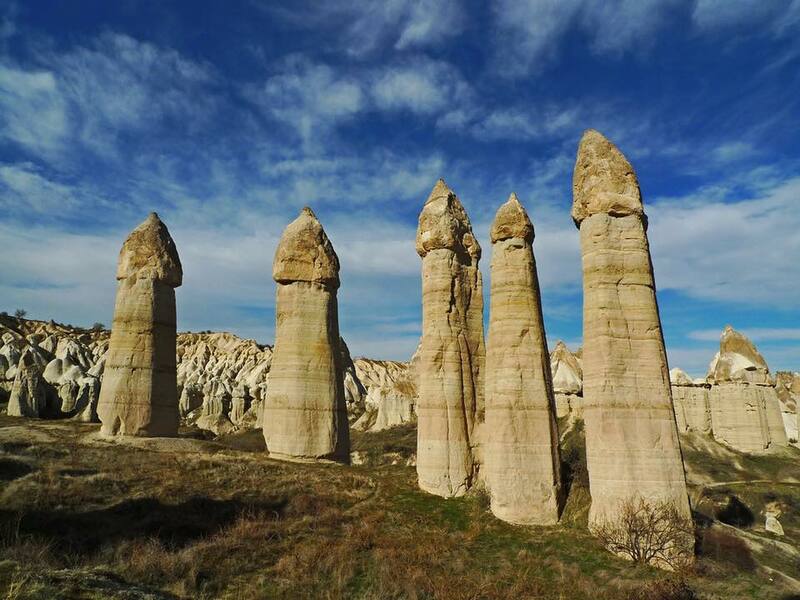 There are several valleys that connect Göreme to the neighboring towns of Uchisar and Cavusin. Depending on your fitness, walking speed, and a number of people on the trails you can hike many of the valleys in just 2 or 3 days. 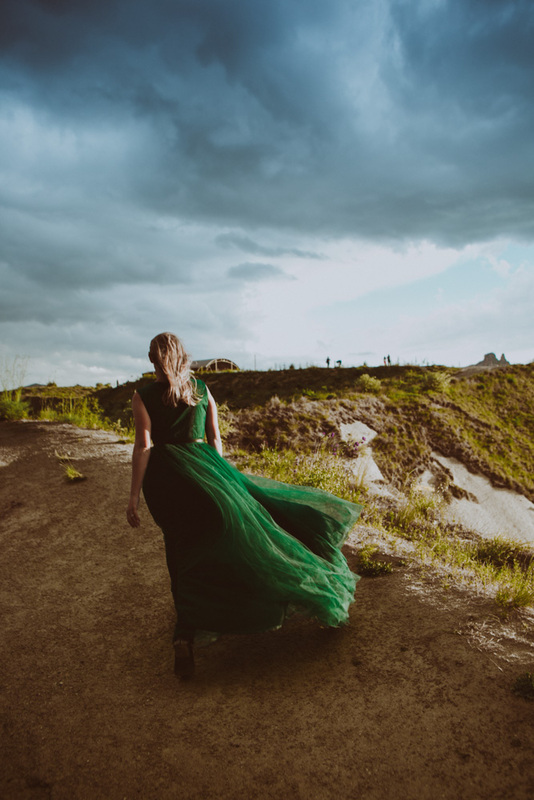 The best hiking trails are Pigeon & Love Valleys (3.5 – 5 hours), Rose and Red Valleys (2.5-5 hours, depending on which path you choose) and Zemi Valley (2-3 hours). 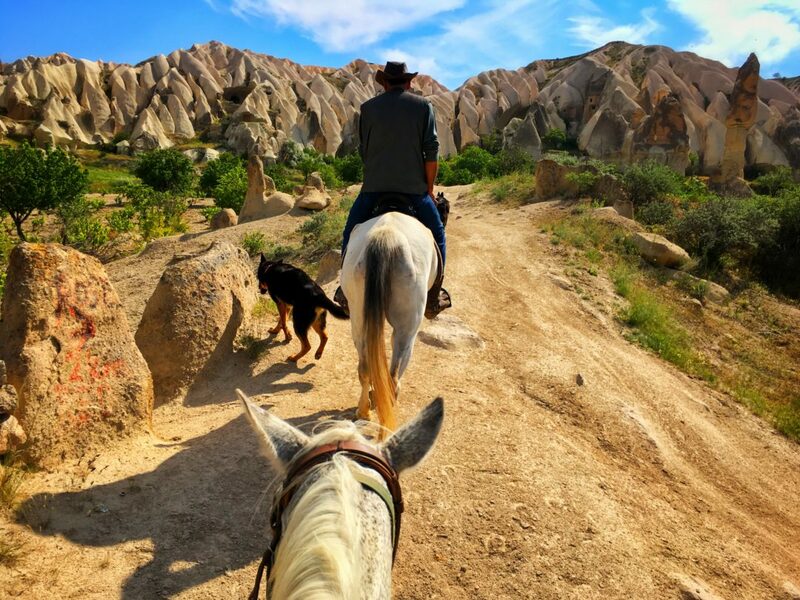 Cappadocia is the perfect place for riding. Of course, we tried this too. Deep canyons and strange rocks are perfect for a riding adventure. 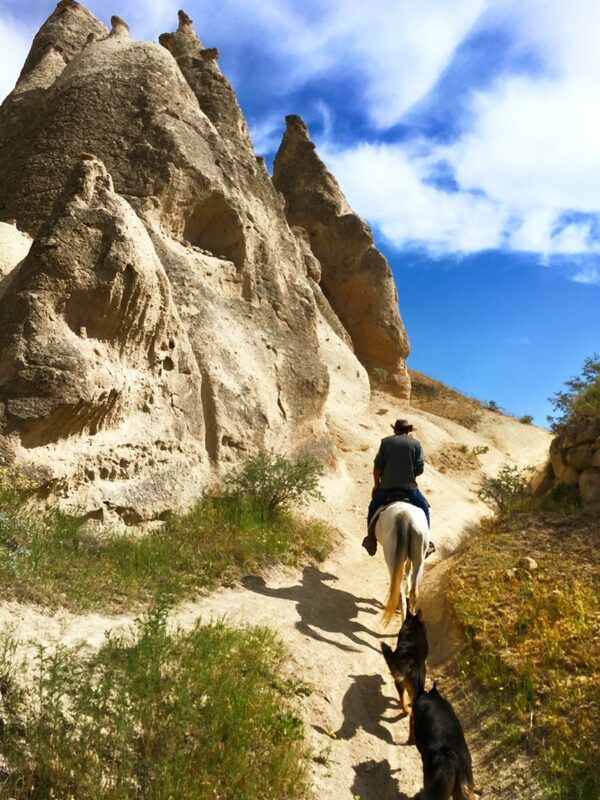 Cappadocia has hundreds of years an old cult for raising and training the horses. Persians came here to prepare their horses for battle. This is also the reason why they gave this name to the region: Cappadocia means “The Land of the beautiful horses”. 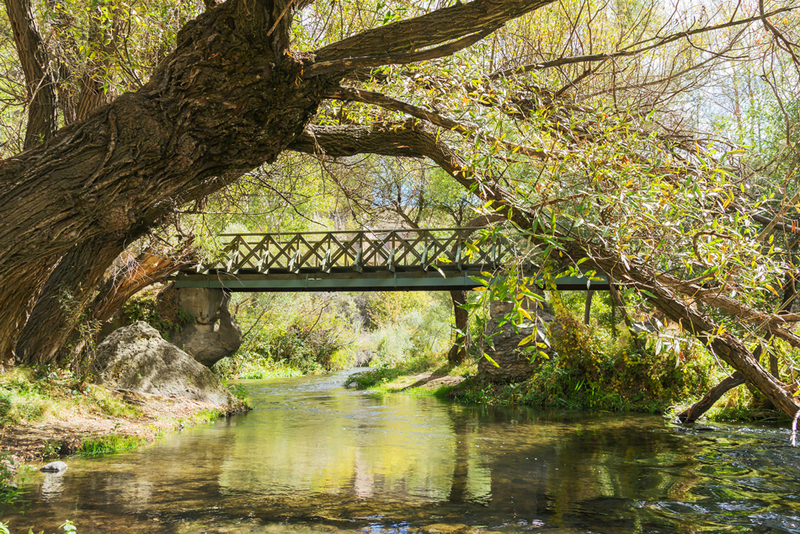 The town of Avanos is located on the shore of the Red River, the longest one in Turkey. 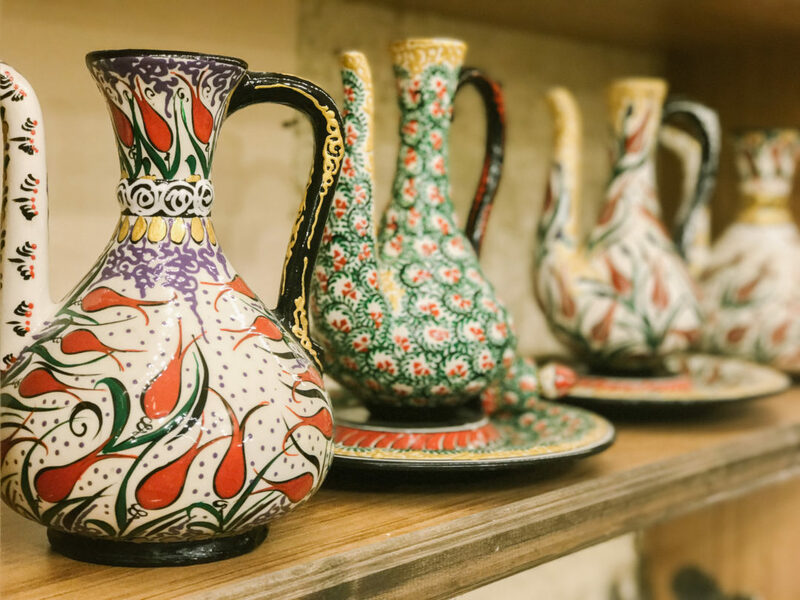 It has been the center for pottery and craft since the Hittite period. The red-red-brown clay that is harvested from this river is used in the workshops to make exquisite handmade ceramics. You can witness a demonstration by a potter in one of the many family-run pottery shops and then make your way to the showroom. This is a great place to shop for souvenirs. Personally, I prefer exploring on our own, so we don’t go usually on guided tours. But in Cappadocia, I felt it was necessary. Attractions are spread out over large distances so it can be tough to get from one place to the next. 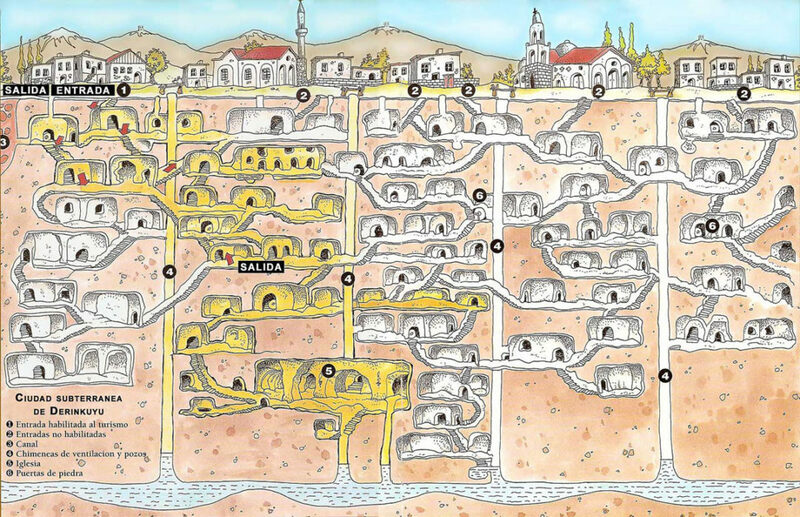 Derinkuyu underground city and Ihlara Valley, for example, are over an hour away from Göreme. Public transportation in the form of minibusses does exist between towns, but not all attractions are within the towns themselves. On top of that, you’ll need to wait around for the mini buses which only adds to the travel time. For these reasons, I suggest going on a guided tour. The Red and Green Tours will take you to all the major spots in Cappadocia. Entrance fees are already included, as is lunch, and you don’t have to worry about missing any attractions. 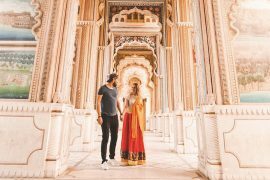 We booked our tours with Gorgeous Tours and I found their prices to be reasonable. 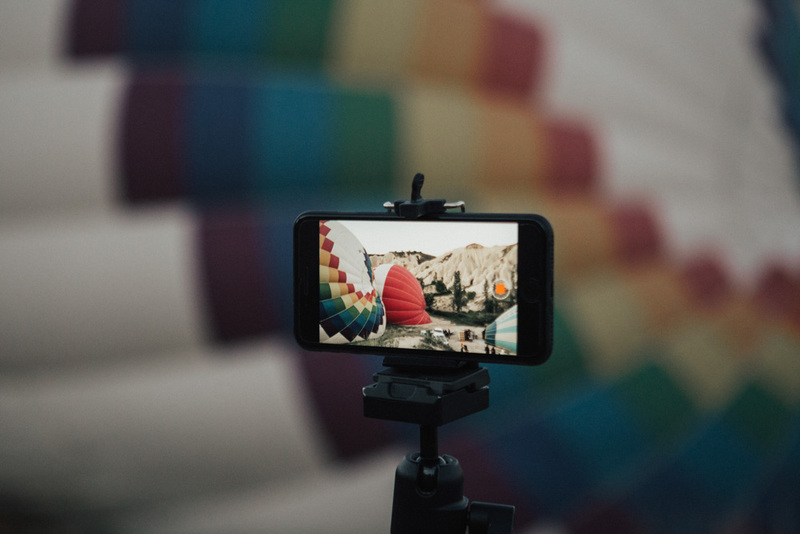 The cost of a car rental is the near the cost of a tour, but also you could easily post a notice or spread the word in your hotel or hostel to see if anyone is willing to join you. This would be better than a tour as you can pick the places you want to visit and stay as long as you like. 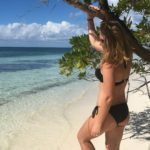 When I found the offer of 53 Euros from Pegasus Airlines, we didn’t hesitate. We knew it was a very good offer for 2 flights: Bucharest-Istanbul and Istanbul-Kayseri flights. I have been looking for accommodation on booking.com. We choose to stay in Goreme, which is in the middle of Cappadocia. The decision was very difficult because there are many beautiful hotels and the prices and services were very good. We had our accommodation in Bedrock Cave Hotel and we chose a cave room, of course. We paid 177 Euros for 4 night/2 people. 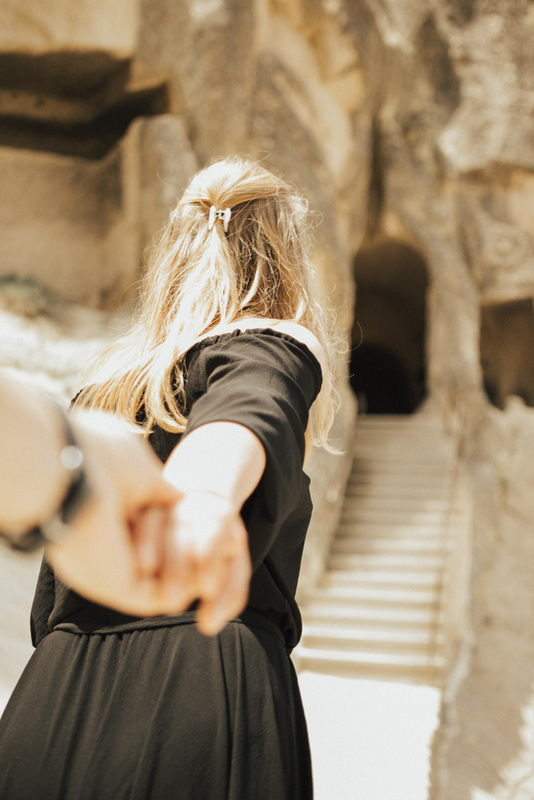 Bedrock Cave Hotel Is located in the center of the city, the rooms look great and the view from the terrace where you can serve breakfast is breathtaking. After a quick search, we knew it was better to book the transfer from/to airport online. It takes about 1 hour to reach the city center and we paid 10 euros/person. I asked the hotel for transfer and they handled everything for us. 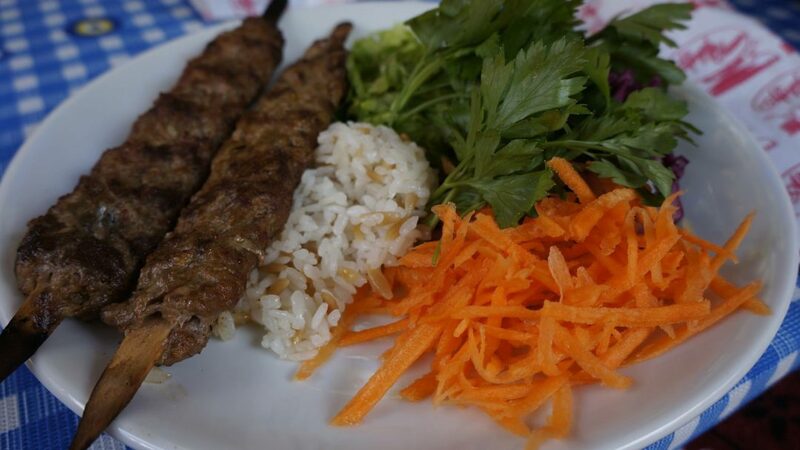 Food in Turkey is amazing! We had breakfast at the hotel and the lunch was included in the purchased tours. We only had the opportunity to eat at the restaurants in the city in the evenings. For each dinner, we spent between 6-10 euros/person and in total for the whole 5 days: 50 euros/person. The balloon flight cost us 90 euros and we bought it from Sultan Balloons.